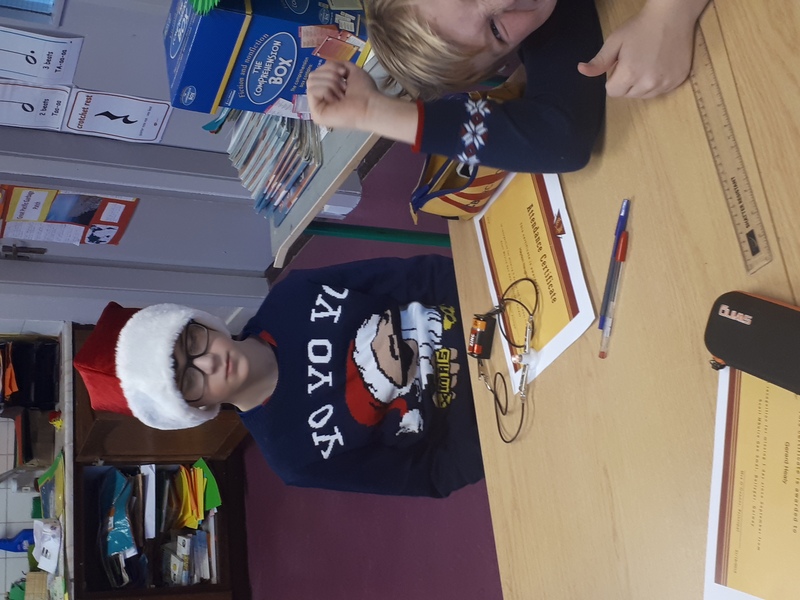 We conducted a number of electricity experiments. 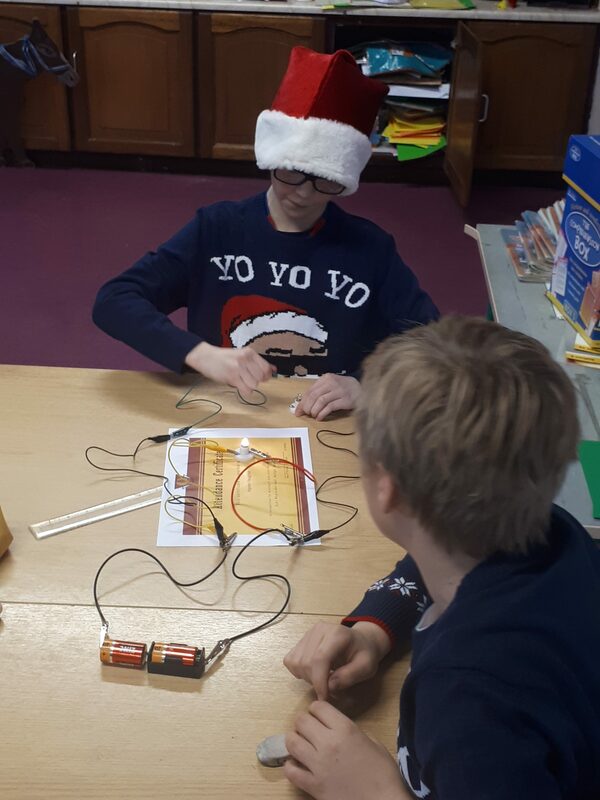 We made series and parallel circuits. 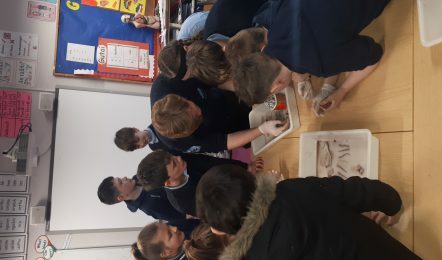 5th/6th class took part in the Explorers Aquarium Education Programme. 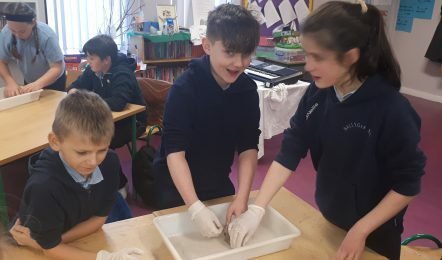 As part of this programme, Padraic Creedan, Explorers Education Officer from Galway Atlantiquaria set up a Saltwater aquarium with native species from our seashore in their classroom. Species included Hermit crab, cushion starfish, goby, anemone, common prawn, and butterfish. 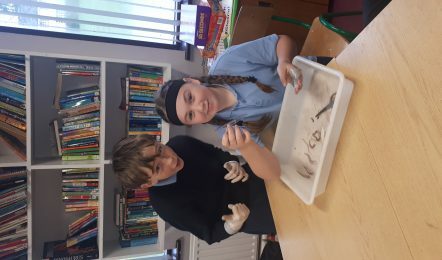 The pupils were given responsibility of caring for the animals and the aquarium for a period of 4 weeks. 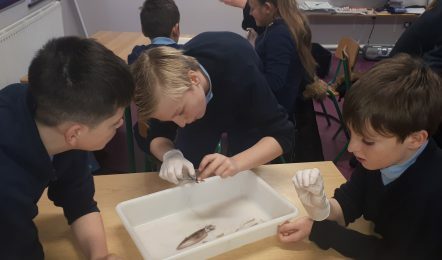 Aswell as feeding the fish krill and recording their daily observations, the pupils had to do daily checks on the filters, air pump, light, water quality and temperature. 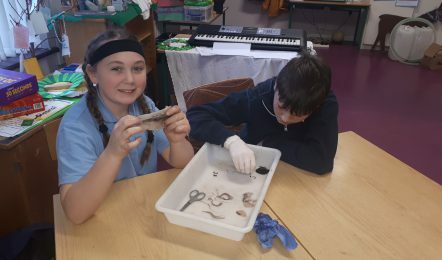 On Padraic’s return to collect the aquarium, he carried out squid dissections with the pupils. This was a thoroughly enjoyable and educational experience which was enjoyed by all. 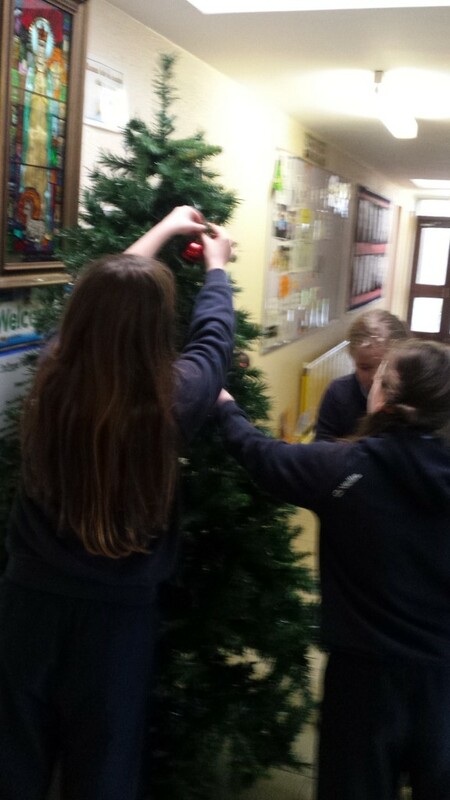 Our 6th class decorated our school Christmas tree in the school corridor. 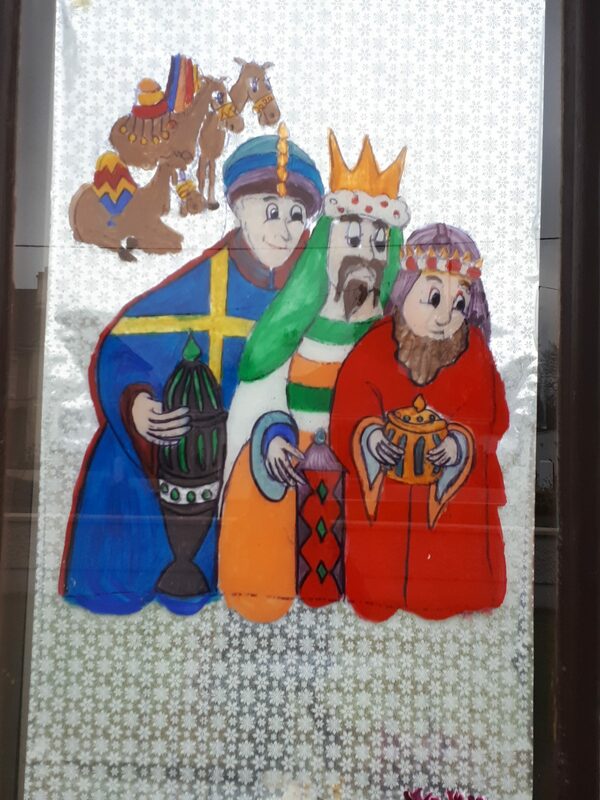 We also painted the windows at the front of the school. We made felt teddy bears. We learnt how to do a number of stitches including the blanket stitch. We were learning all about data and different types of graphs in maths. 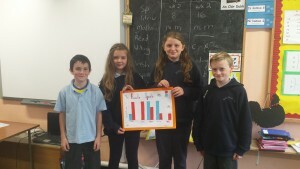 We surveyed each of the classes in the school and created multiple bar charts representing the results. 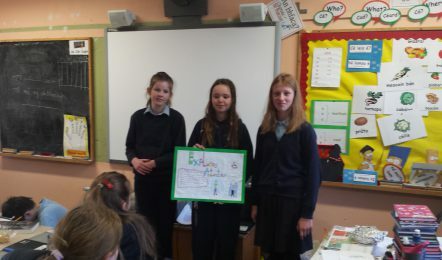 We then presented our findings to the classes. 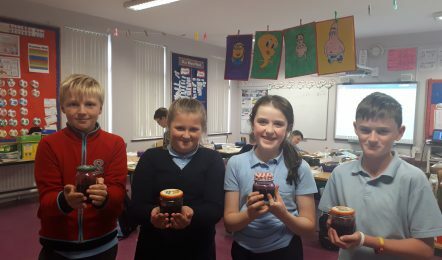 We celebrated maths week from 16th-20th October. We had great fun answering the questions on the Halloween Themed Maths Week Board outside the office. 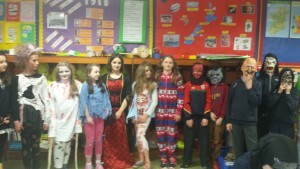 Well done to everyone who got them all correct. We also participated in a maths trail around the school. 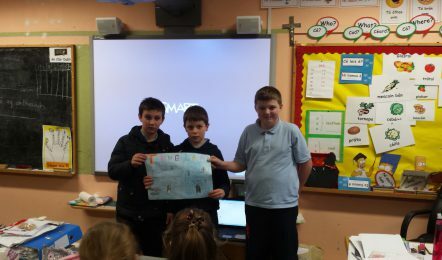 We also particpated in our ‘Maths for Fun’ initaative. We went to our General purpose room and took part in a number of maths games. 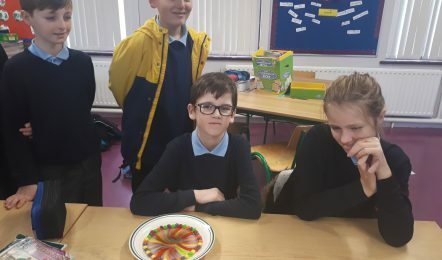 Well done to Peter who won the Guess the Sweets in the Jar competition. 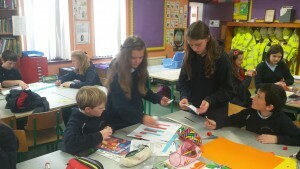 Here are some photographs of us having fun on maths week. We have been learning to play the tinwhistle. We harvested the vegetables from our vegetable garden and made vegetable soup for all the school. It was delicious!! 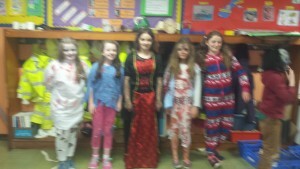 We took part in celebrations of Cultural day in Ballygar. 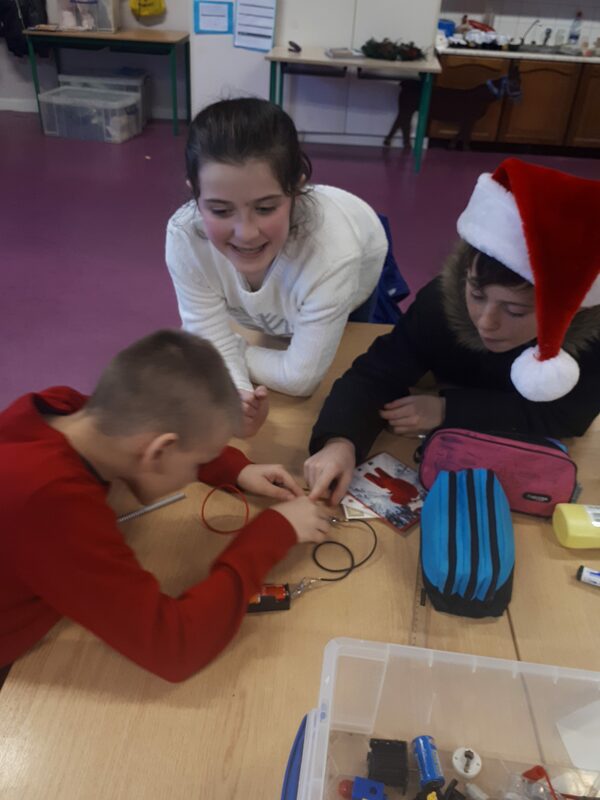 Louise Houlihan carried out a workshop with us. We looked at identity, place, the diversity of the group. 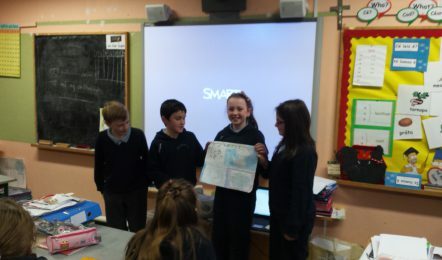 We mapped the town of Ballygar and discussed our favourite places/amenities in Ballygar and the amenities and services they would like to see in the future. We then went out and about and visited our favourite places. We split up into groups and used our new ipads to take photographs of our groups in our favourtie places in Ballygar. 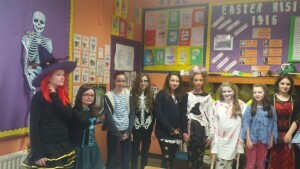 We were very creative with our poses when it came to taking the photographs. A special thanks to Louise for organising the workshop. 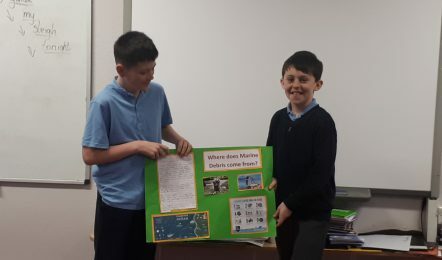 We learnt all about the first people to come to Ireland the Mesolithic people. We then made models of mesolithic campsites. I am sure you will agree they are fantastic!!! 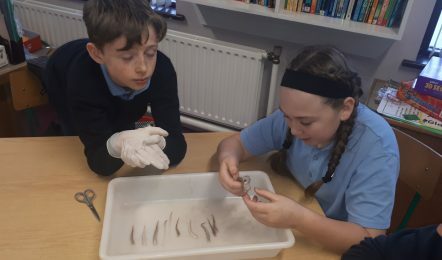 One of our very talented pupils Anthony Naughton made these Mesolithic tools using tree branches, tree bark (to tie them together) and stones. 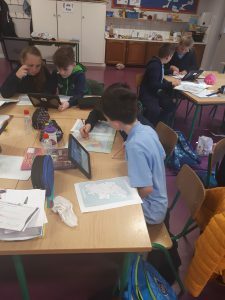 We have been studying and learning about the history of Ballygar and its surrounding townlands. 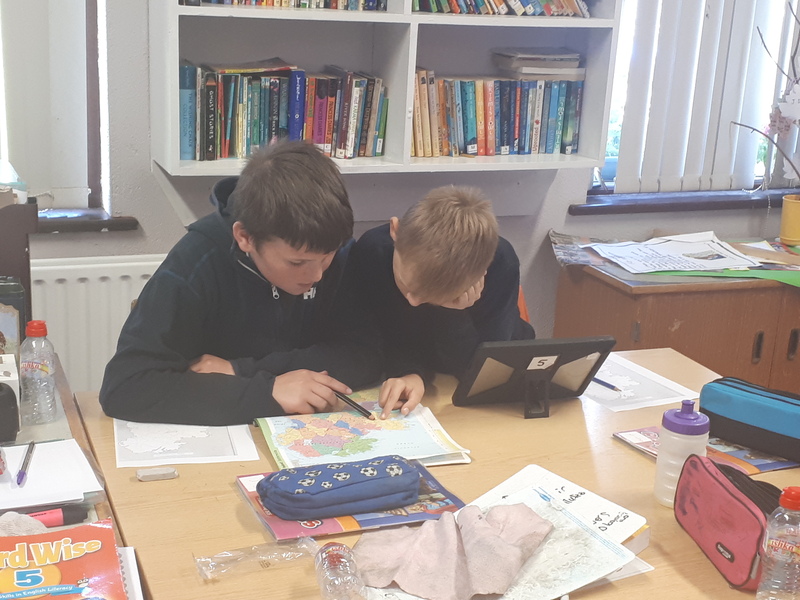 We have been researching all about our townlands using lots of databases on line to find out information about histortial sites, people who lived in Ballygar and its surrounding townlands 100 years ago, the landlords who owned and planted the lands in and around Ballygar during the 1600’s, the geological features of Ballygar and its surrounding areas and much more. 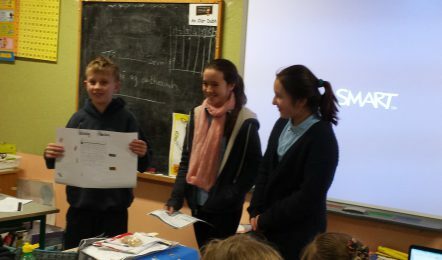 We created projects based on the information that we learnt and presented it to our classmates. Here are some pictures of us conducting our research in our computer room. We learnt all about WW1 and about life in the trenches. We create trench models in groups. We conducted an experiment to show that fire needs oxygen to burn. We also discovered that the air we breathe is made up of approximately 20% oxygen. 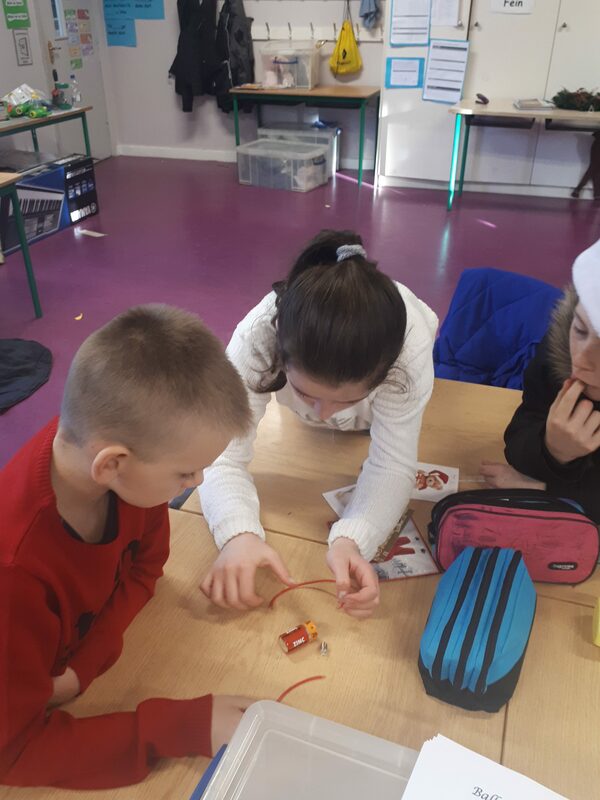 Here are some pictures of our Confirmation retreat in Knock on 13th February. We made these lovely St. Brigid’s Crosses for St. Brigid’s Day. We are learning all about length in maths. We worked in groups to measure a number of objects in our environment and then had fun converting our measurements into mm, cm and m.
We completed Maths Trails during Maths week Here are some pictures of us doing our maths trail. 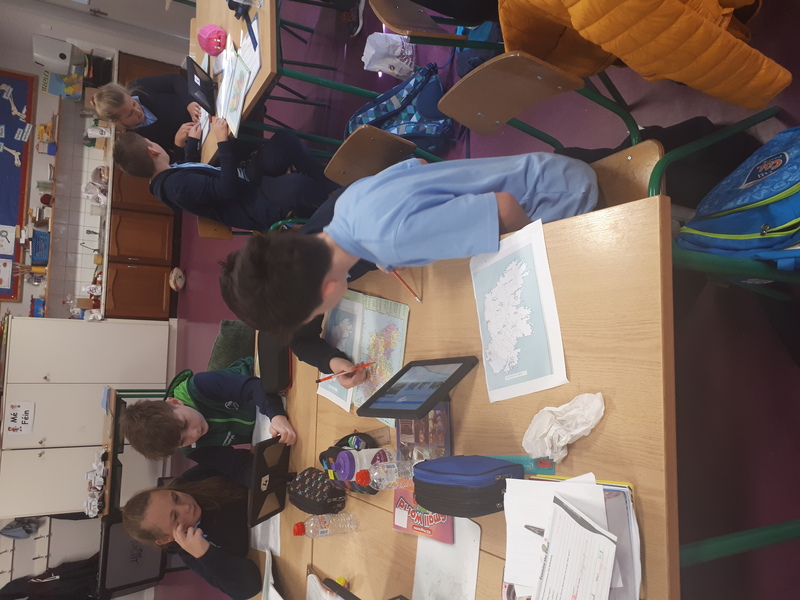 We also completed travel tallies to compare the cars travelling to and from Roscommon. We then represented this data on multiple bar charts. Here are some pictures of us completing our travel tallies. 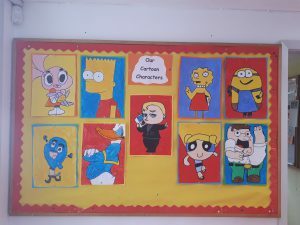 Look at our amazing Cartoon paintings. 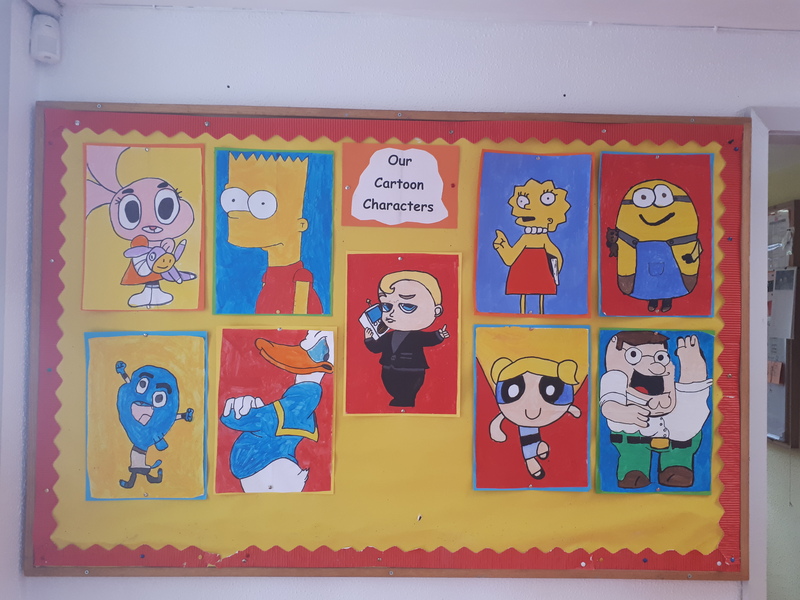 We had great fun choosing, drawing and painting our characters. We made leaf imprints using plaster of paris. 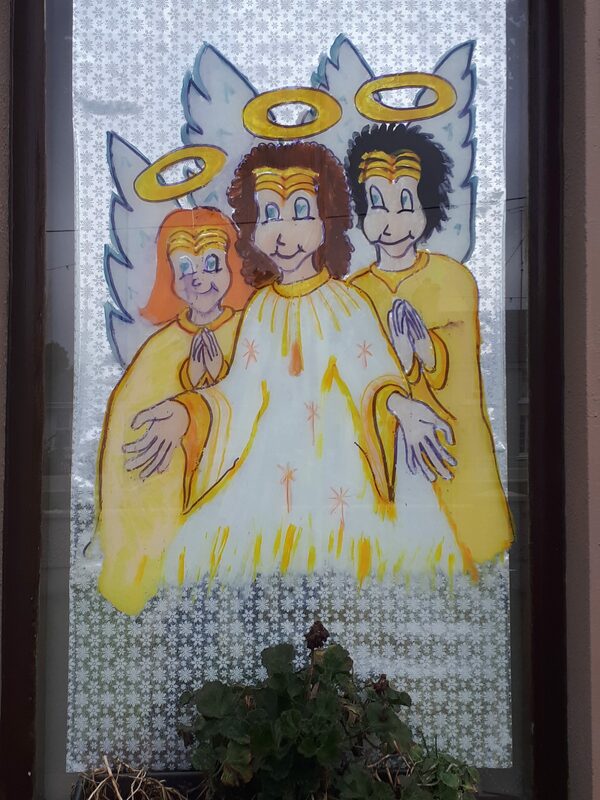 Have a look at us making our creations. 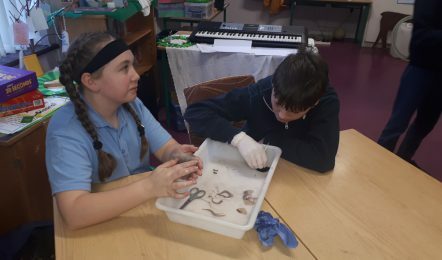 We learnt all about our central nervous system and how our brain sends and receives messages. 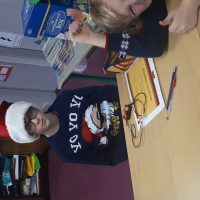 We conducted an experiement called the stroop effect. This test measures how your brain copes with information that is confusing. Read the words in the picture below. Now read them again but this time say the colour, not the word. What did you notice? 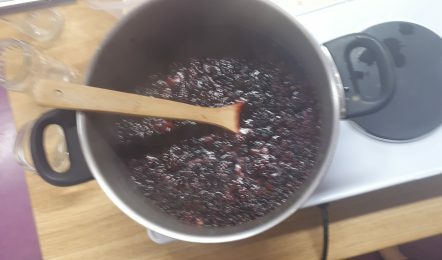 In your large pot put in your berries and water, place pot on a medium to high heated stove and let simmer for twenty minutes or until your berries are soft. If your berries are larger such as strawberries or gooseberries mush down your berries a little, add your jam sugar and stir for five seconds. Let your jam come to a violent boil and stir in any sin that might have formed and leave your jam to gently boil and stir once your second skin has formed. Leave your jam until it resembles a thick mixture with a few lumps of berries here and there, take your jam off the heat and stir and leave your jam to cool for 5 minutes. Here are some pictures of us making it. 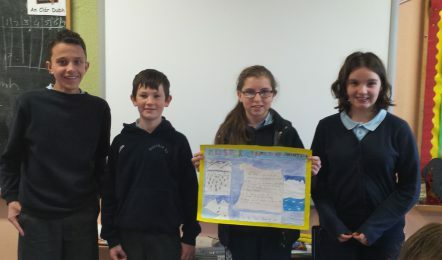 We learnt all about the devastating effects that flooding can have on communities. Only last year Athleague, a neighbouring town was affected by flooding. 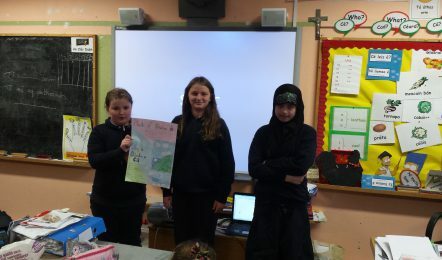 We worked in groups to brainstorm the causes of flooding, the effects of flooding, how communities can prepare for floods, and how to minimise the effect the flooding. 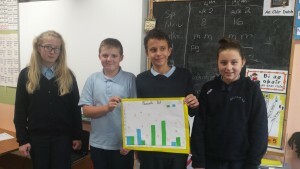 We learnt all about Multiple bar charts and trend graphs in maths. We made up our own surveys and we surveyed the other classes. We then made multiple bar charts based on our findings. 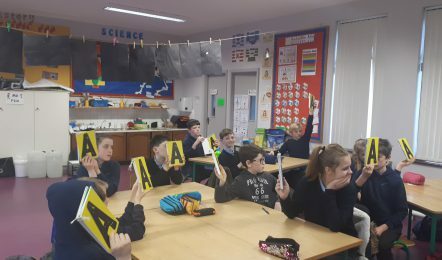 We also took part in a maths table quiz to celebrate maths week. We learnt all about New Zealand and the Maori’s. Did you know that New Zealand is made up of 2 different Islands called the North and South Island. The Maori’s are the indigineous people of New Zealand. They were fierce in battle. When they captured their enemies, they ate them and kept their heads as trophies. The Maori’s had tattoos, which, traditionally they had on their faces to make them look fierce, and so scare off their enemies. Look at our lovely Maori masks. 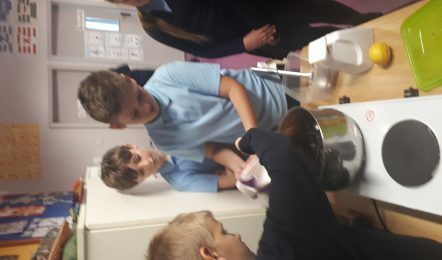 During science week, we learnt all about Chromatography. Chromatography is the process of separating coloured inks. We conducted experiments in groups to demonstrate this process. 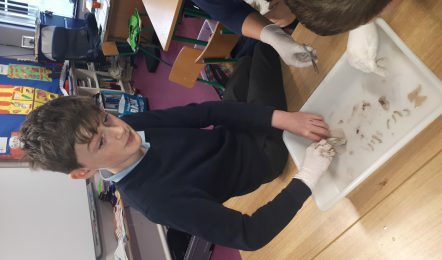 On Friday the 13th of November, in association with NUIG and Galway Science, Ms. Jane McLoughlin visited our school and we took part in a science workshop. 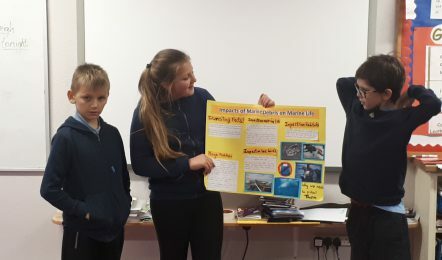 We took part in various scientific experiments including making gloop, magical marbles, floating balls, the lazy coin, making a hovercraft and designing a boat fit for passengers. 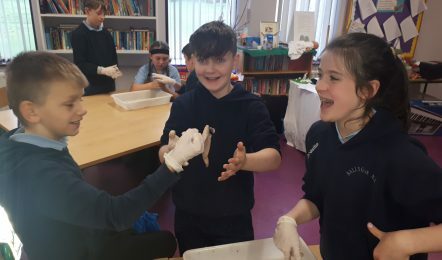 Everyone had great fun participating in Science Week and can’t wait for next year! 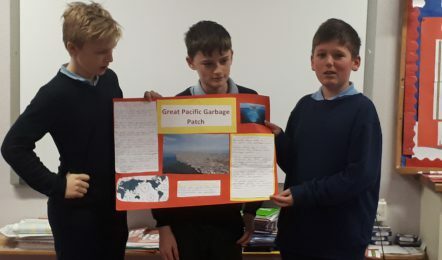 We learnt all about Antarctica and completed projects in groups. 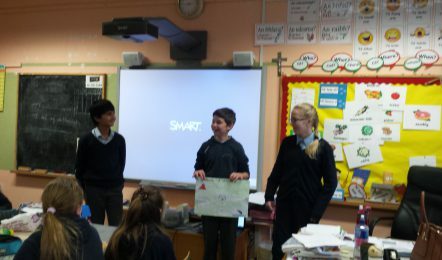 Here are some pictures of us presenting our projects to our class. 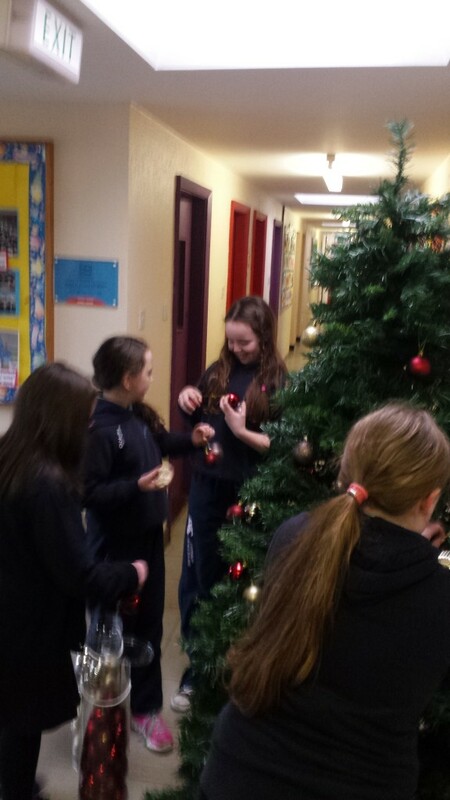 We had great fun decorating the Christmas tree in the corridor. 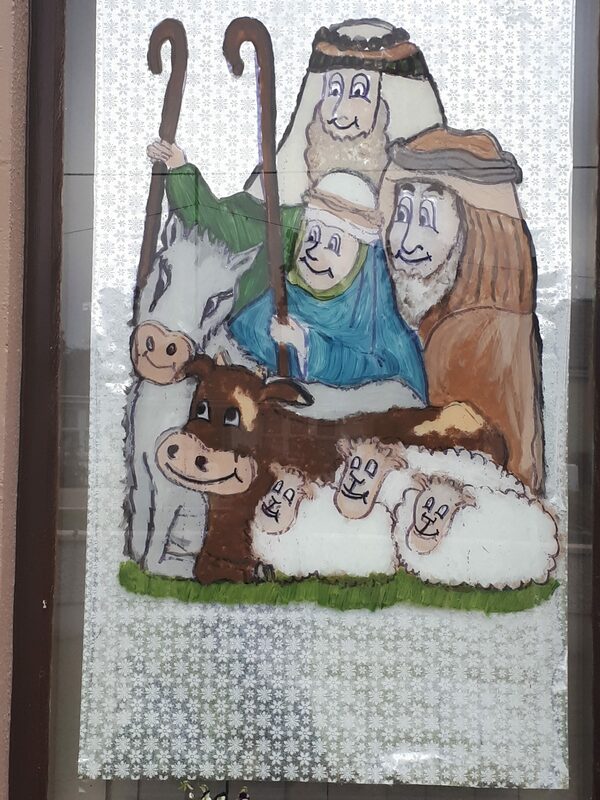 We were very busy in December practising our lines for our annual Christmas Nativity performance. 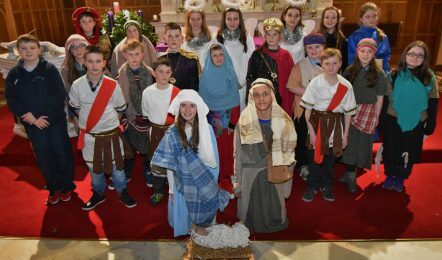 Here are some pictures of our performance during our annual Carol Service. 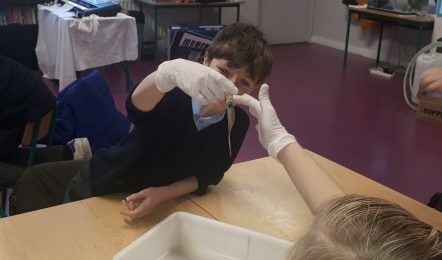 We have been learning all about clay and different techniques when using clay in art. We made clay faces. We will be painting them once they are dry. We have been learning all about light in Science. 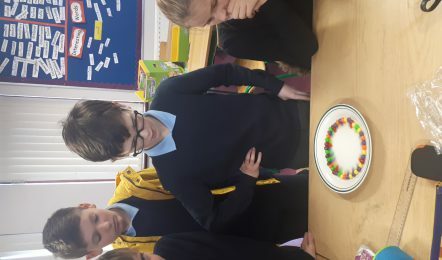 We learnt that light is made up of 7 different colours- red, orange, yellow, green, blue, indigo and violet (the colours of the rainbow). We conducted an experiment to demonstrate this. We also leant that the colours of the rainbow can be brought together to produce white light. 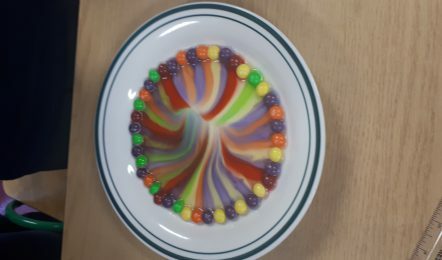 We made coloured spinners to demonstrate this. Here are some picture of us making and using our coloured spinners. We also learnt about refraction. Refraction is the when light bends as it travels from one medium to another. 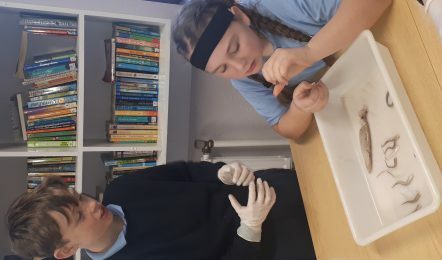 Here are some pictures of us conducting an experiment to demonstrate refraction. Water can look a lot shallower than it actually is, because of refraction. Because light which is reflected off say a fish in water, bends when it reaches the surface, your eye assumes light travels in straight lines and sees the fish nearer the surface than it actually is. Have you noticed that when you paddle in water your legs appear to be shorter than their actual length? (This is for the same reason). SAFETY in the water! So refraction is important to think about before you jump into water – it might be much deeper than you think! 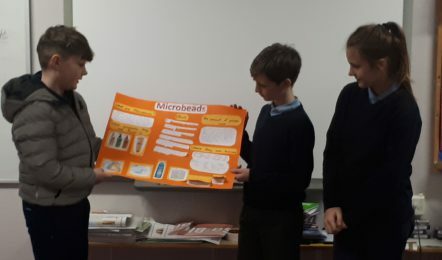 On 20th January, we took part in a 6 a side soccer tournament organised by Coláiste Mhuire in the Matte McDonagh Centre. 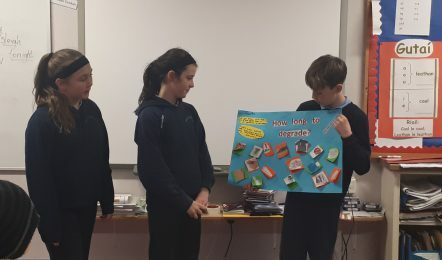 We entered two teams into the competition and competed against a number of local primary schools including Ballyforan, Creggs, Ballaghlea, Mount Talbot, Fuerty. We did extremely well and reached the semi-final, narrowly missing a place in a final. A great day was had by all. 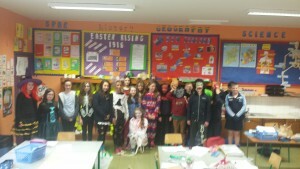 A special thank you to Ms. O Malley, Mr. Curran and to the transitions years for organising the tournament. We have been doing gymnastics in PE. We have been learning how to do different rolls and balances. Here are some pictures of us doing the ‘pencil roll’ and also partner balances. 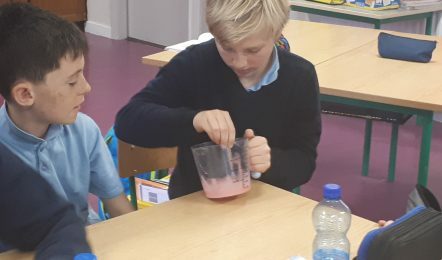 How Much Sugar is in Our Favourite Treats? 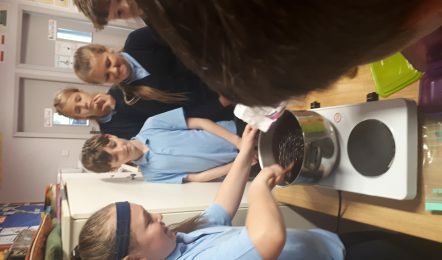 We carried out an experiment to investigate how much sugar is in our favourite treats. We examined the nutritional value information of our favourite treats to see how many grammes of sugar they contain. There is about 4g of sugar in one teaspoon. To calculate how many teaspoons of sugar are in our favourite treats we divided the total number of grammes by 4. We then measured out the sugar into food bags. 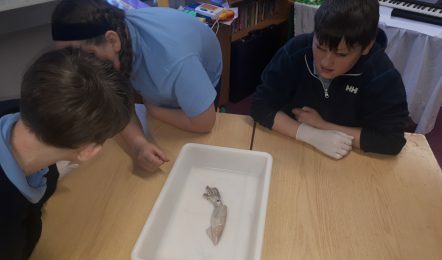 We were shocked with what we found. Did you know that a 500ml bottle of coke has 13 teaspoons of sugar? or that a bottle of rockshandy has 16 teaspoons of sugar? We made St. Bridget Crosses from rushes on St. Bridget’s Day. Fr. Breslin blessed our crosses before we brought them home. We have been learning all about procedural writing. We made pancakes on Pancake Tuesday and wrote down the recipe so that we could make them at home. 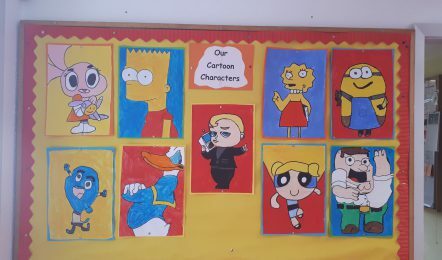 We learnt about the techniques of using stencils and printing during art. We made lovely Valentines art paintings using cupid stencils. Did you know that we celebrate St. Valentine’s Day in honour of St. Valentine. Valentine was a priest who lived under the reign of the Roman Emperor Claudius II. Claudius wanted a strong army, but many men did not want to be soldiers. He thought the men wanted to stay home to be with their wives and children instead of leaving to fight wars. Claudius thought of an awful solution to his problem. He decided to cancel all marriages! No one in all of Rome could get married. Claudius thought that if the men couldn’t get married, the men would ignore the women and want to be soldiers.Valentine however believed that people needed to get married. So he secretly and illegally married couples anyway! Claudius found out what Valentine was doing and arrested and executed him. We learnt all about gravity. Gravity is a useful force, without it everything would float around. We also learnt how parachutes work. Gravity pulls a parachute down, but as it falls air gets trapped under the canopy. The trapped air pushes up against the canopy, making the parachute fall slowly. We worked in groups to make parachutes. We carried out an experiment to investigate whether the size of a parachute affects. We were learning all about 2d and 3d shapes in maths this month. We made lots of different regular and irregular 2d shapes using lollipop sticks. 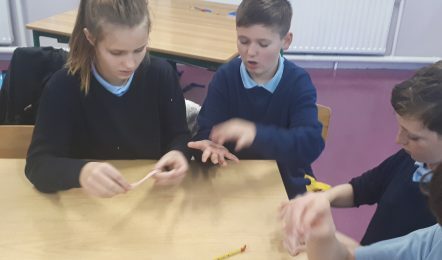 We also made 3d shapes out of lollipop sticks and nets (including cubes, cuboids, pentagonal prisms, hexagonal prisms, hexagon based pyramids, pentagon based pyramids, octahedrons). 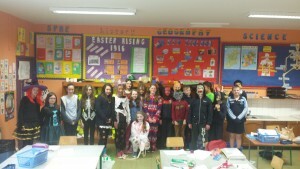 We have been learning all about the 1916 Easter Rising because this year marks the centenary of the 1916 Easter Rising. We completed projects in groups based on what we have learnt.